Could Young Adults' Global Strike for Climate Action Make the Future Better? The best thing adults could do right now "is to educate themselves on climate breakdown – and then scream and shout until the government changes its policies." That is what it said in black ink on the placard that Greta Thunberg, a 16-year-old Swede, held when she first sat outside the country’s parliament on a Friday last August. It means ‘School Strike for Climate’. Thunberg was sitting in protest, demanding her country’s politicians act against climate change and bring the country in line with the Paris Agreement goals and reduce greenhouse gas emissions. 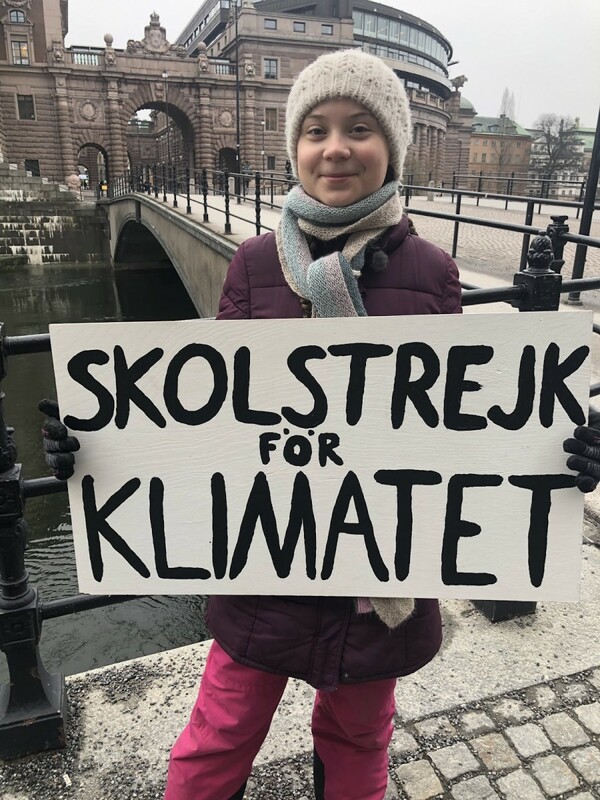 Since then, she has missed school almost every Friday and held the same placard, sitting in front of the Swedish parliament. This was the start of the ‘Fridays for Future’ movement. 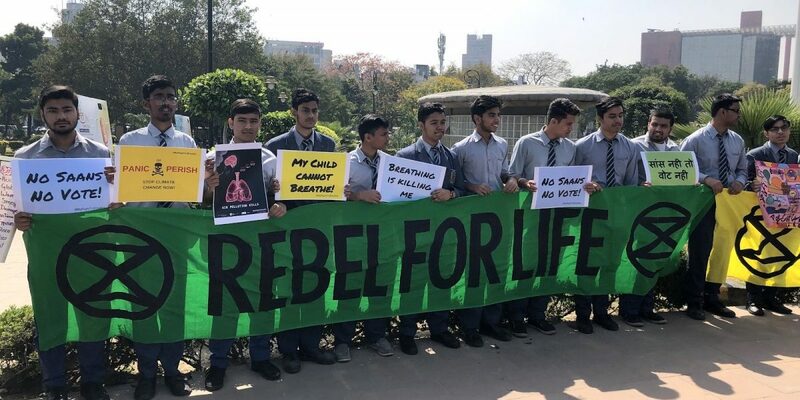 On March 15, last Friday, school children from over 2,000 locations in 120+ countries around the world signed up to join her protest, including hundreds of students in over 50 locations in India. What started as a one-person strike had turned into a global demonstration of more than one million young people, making it the biggest single day of climate action ever. There were participants from a meteorological observatory called Neumayer Station III in Antarctica and from a small town called Longyearbyen in Svalbard in the Arctic. The turnout was breathtaking. Global temperature records maintained by multiple research institutes, including NASA and the US National Oceanic and Atmospheric Association, show that the world’s average surface temperature has already increased by slightly more than 1° C relative to pre-industrial levels. It is also rising by about 0.2°C per decade. Climate scientists around the world unequivocally agree that this is primarily due to human activities emitting more greenhouse gases – like carbon dioxide and methane – into the atmosphere. They trap heat and increases the planet’s temperature. There is enough evidence now to show that rising temperatures are causing increasingly frequent and more intense heat-waves, droughts, wildfires, floods and other extreme weather events around the world. All of that will take a heavy toll on natural ecosystems and human settlements alike. Unless we take drastic measures, the situation will only get worse. Current climate models predict that, during the 21st century, the world’s average surface temperature will rise by 1.8-4° C if we continue with business as usual. In the landmark Paris Agreement signed in 2015, the UN’s member nations agreed to limit global warming to “well below” 2° C, and aimed for 1.5° C above pre-industrial levels. The UN Intergovernmental Panel on Climate Change (IPCC) published a report in October last year. It said that unless we took urgent action, the temperature would rise to 1.5º C by 2030 itself. These students have done their homework. They understand the causes and risks of unabated climate change and the human disruption of ecosystems. “Not many people know this – which is really astonishing – but we are in the midst of a mass extinction right now and more than 50% of Earth’s biodiversity is already [shrinking]. And if we go like we’re going right now, we will not survive another century,” Asheer said. Through their schoolstrike, the students are demanding that their governments wake up to the climate crisis and take action. They are also asking adults around the world to join their movement and raise their voices. “Stop living in a state of denial, where you think that climate change is not an immediate problem,” Sindhwani said. “Twelve years is all we have left” to change course. We are already seeing the effects of the ‘Fridays for Future’ demonstrations around Europe and the US. The letter was signed by 240+ other climate scientists. My generation has failed to respond properly to the dramatic challenge of climate change. … Despite years of talk, global emissions are reaching record levels and show no sign of peaking. The concentration of carbon dioxide in our atmosphere is the highest it has been in [three million] years. Many of you are anxious and fearful for the future, and I understand your concerns and your anger. But I know humankind is capable of enormous achievements. Your voices give us hope. It’s possible that this is the social tipping point that the world needs to deal with the effects of climate change. It is only just that the children of the world are leading the way for their adults. Many of them know that they will be 18 soon and eligible to vote, so their protest is also a notice to the government, demanding that sustainable growth be put on – and kept – on the agenda. Pushp Bajaj recently completed his PhD at the University of California, San Diego. Siddhant Arya is a freelance writer focusing on the science and impact of climate change.